The nighttime house arrest and restrictions on leaving Kyiv imposed by the Kyiv Appeals Court on leader of the Movement of New Forces party and former Georgian President Mikheil Saakashvili as a restraining measure expired overnight into February 6. By this decision, the court then overturned Kyiv Pechersky District Court's December 11 ruling and partly granted the Prosecutor Office's motion demanding a restraining measure for Saakashvili as part of the criminal inquiry opened against him. The prosecutor had earlier asked the court to place Saakashvili under round-the-clock house arrest and order him to wear an electronic monitoring tag as part of the case opened into claims that Saakashvili and his supporters had allegedly received money from businessman Serhiy Kurchenko to fund their political activities in Ukraine. Upon the expiry of this restraining measure, Saakashvili is no longer subject to any restrictions, expect for the obligation as a suspect to receive subpoenas and come to investigative agencies when summoned, Saakashvili's lawyer Ruslan Chornolutsky told Interfax-Ukraine. 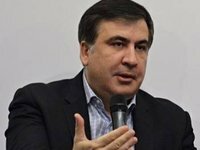 The decision not to extend Saakashvili's restraining measure could be prompted by the Ukrainian authorities' plans to "clear" the politician's status in order to prepare to illegally and forcibly deport Saakashvili from Ukraine or "lay the groundwork" for his extradition to Georgia, the lawyer said.